Invite some friends over for an impromptu Mardi Gras Party! Whether you want to celebrate “Fat Tuesday” on Tuesday with a quiet dinner with your close friends and family or want to live it up with tons of friends, tons of drinks, and tons of delicious treats, we’ve got some tips for hosting your Mardi Gras event! Check out what you will need for your party. The first thing on your agenda should to be buy or make a king cake. These delicious desserts date back to the 1700s to New Orleans and even back to Europe. While it has taken on many forms, the traditional king cake consists of a cinnamon roll with purple, green, and gold icing. The cinnamon roll is twisted into a circle and a plastic baby is place inside the confection. Whoever finds the baby is crowned king or queen for the day. So don’t forget to pick up a crown and scepter(wand) for your reigning king or queen! These colorful necklaces are usually associated with X-rated behavior but that doesn’t mean they can’t be worn by your more conservative guests. Put these beads around lamp shades, ceiling fans, and in bowls around your apartment to decorate tables. Don’t forget to buy enough to give to your guests for an easy party favor. Set them in a bowl by the front door for guests to take them as they come in. Find decorations in green, purple, and gold to put around your Harborside Village apartment. 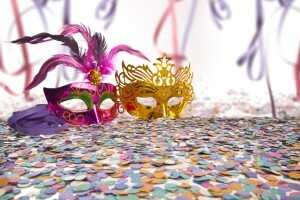 Have guests bring decorated Mardi Gras masks or buy some for each of guest. Hang fairy lights around your home to keep the bright lights off and to enjoy the night! Whether you choose buy food or make your own, stick with the theme. Make your favorite Cajun and Creole dishes like Po boys, jambalaya, gumbo, and a seafood etouffe. You could also make a dessert of beignets. Stuff them with chocolate, raspberries, or any other filling you want. Mix up some New Orleans Hurricane by mixing rum, passionfruit syrup, Sprite, and lime juice. There are many different ways for you to celebrate Mardi Gras in style. 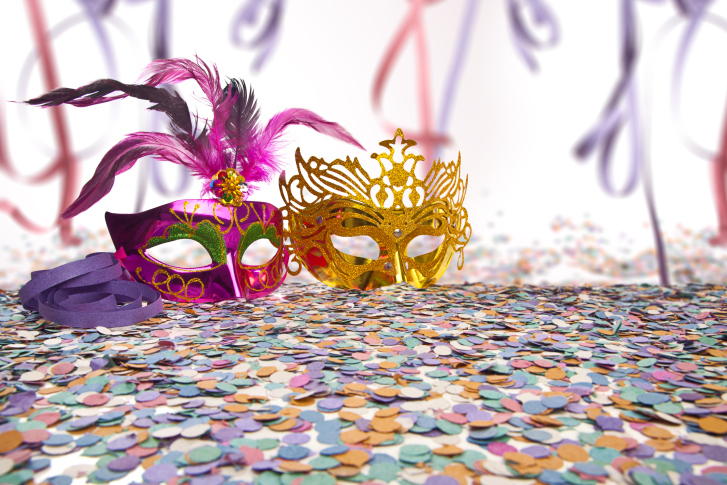 Why not celebrate your Mardi Gras in your luxury apartment at Harborside Village? This entry was posted on Monday, February 8th, 2016	at 3:50 pm	. Both comments and pings are currently closed.